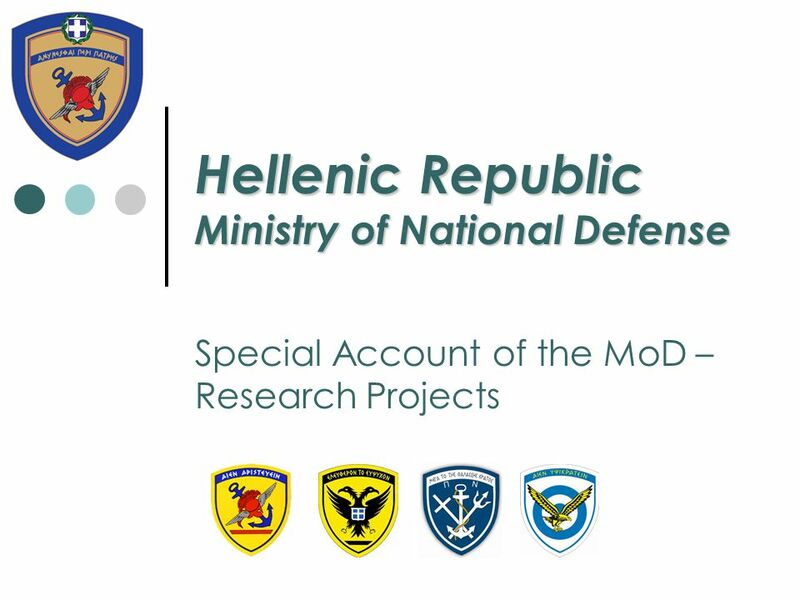 Hellenic Republic Ministry of National Defense Special Account of the MoD – Research Projects. 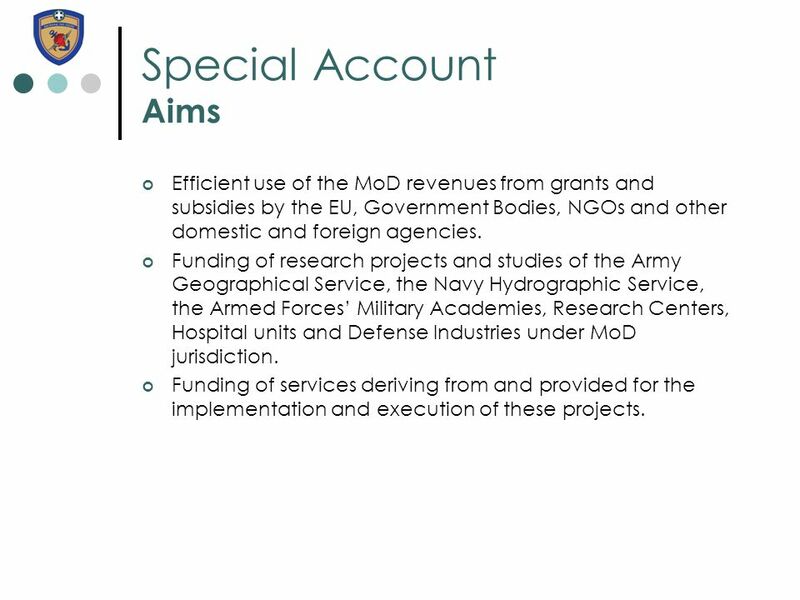 4 Special Account Aims Efficient use of the MoD revenues from grants and subsidies by the EU, Government Bodies, NGOs and other domestic and foreign agencies. 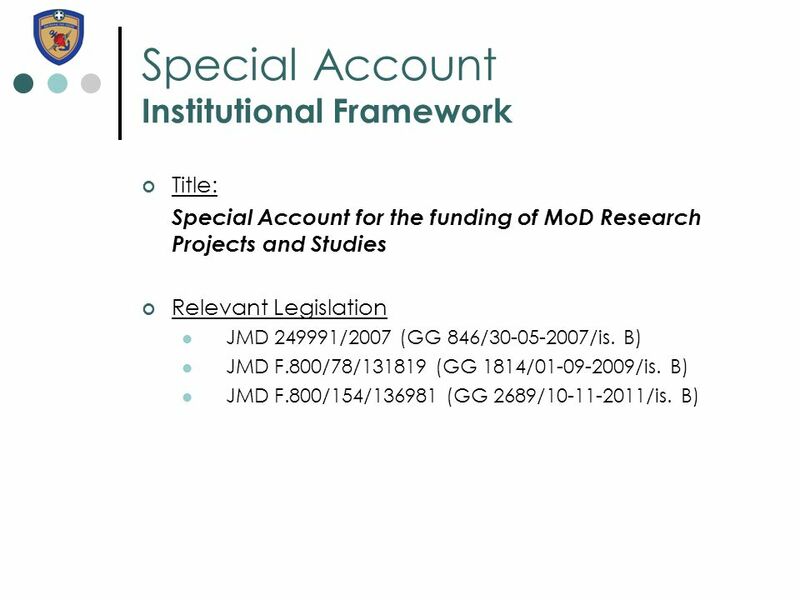 Funding of research projects and studies of the Army Geographical Service, the Navy Hydrographic Service, the Armed Forces’ Military Academies, Research Centers, Hospital units and Defense Industries under MoD jurisdiction. 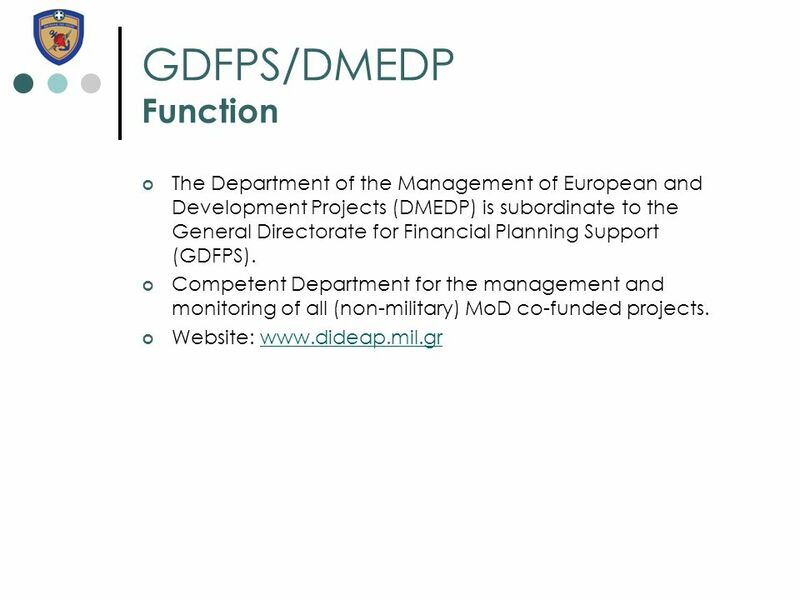 Funding of services deriving from and provided for the implementation and execution of these projects. 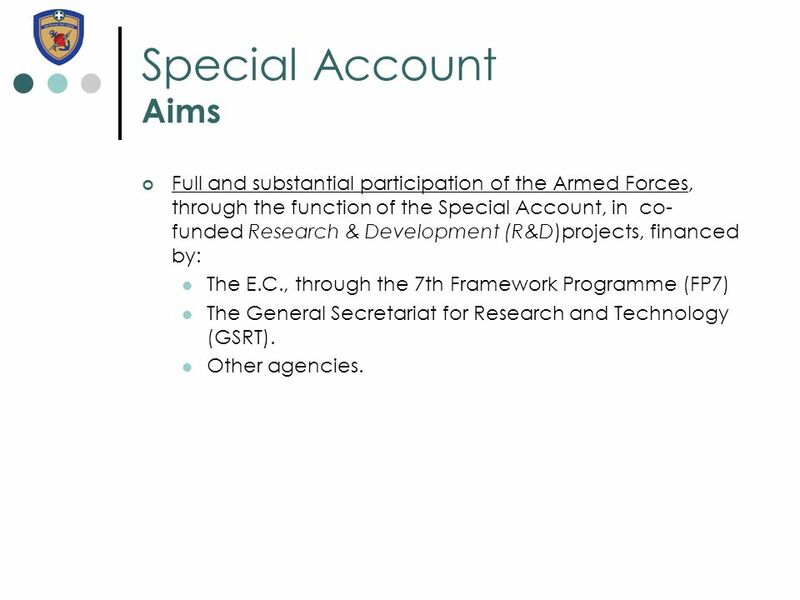 5 Special Account Aims Full and substantial participation of the Armed Forces, through the function of the Special Account, in co- funded Research & Development (R&D)projects, financed by: The E.C., through the 7th Framework Programme (FP7) The General Secretariat for Research and Technology (GSRT). 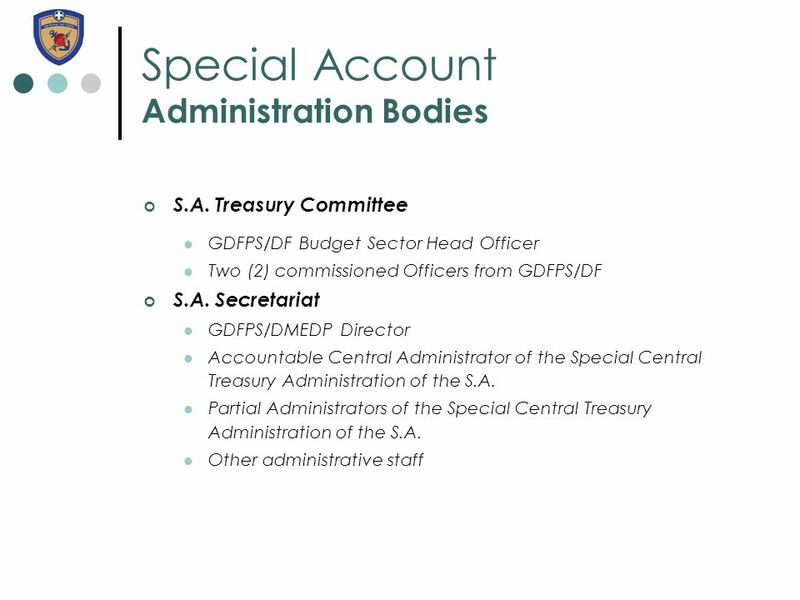 Other agencies. 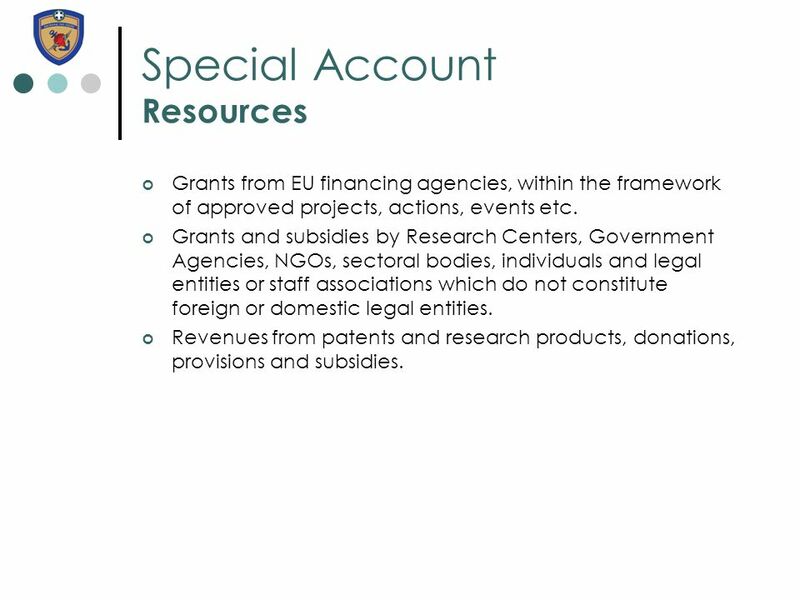 8 Special Account Resources Grants from EU financing agencies, within the framework of approved projects, actions, events etc. 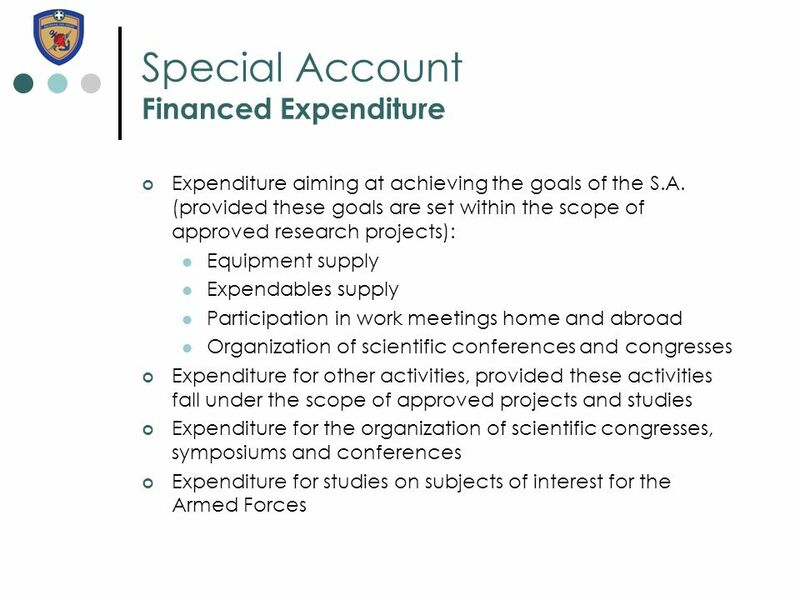 Grants and subsidies by Research Centers, Government Agencies, NGOs, sectoral bodies, individuals and legal entities or staff associations which do not constitute foreign or domestic legal entities. 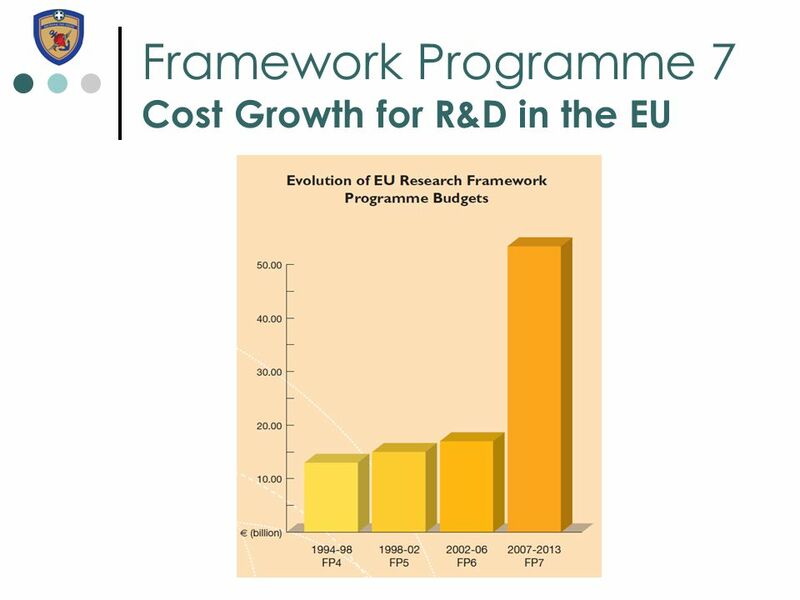 Revenues from patents and research products, donations, provisions and subsidies. 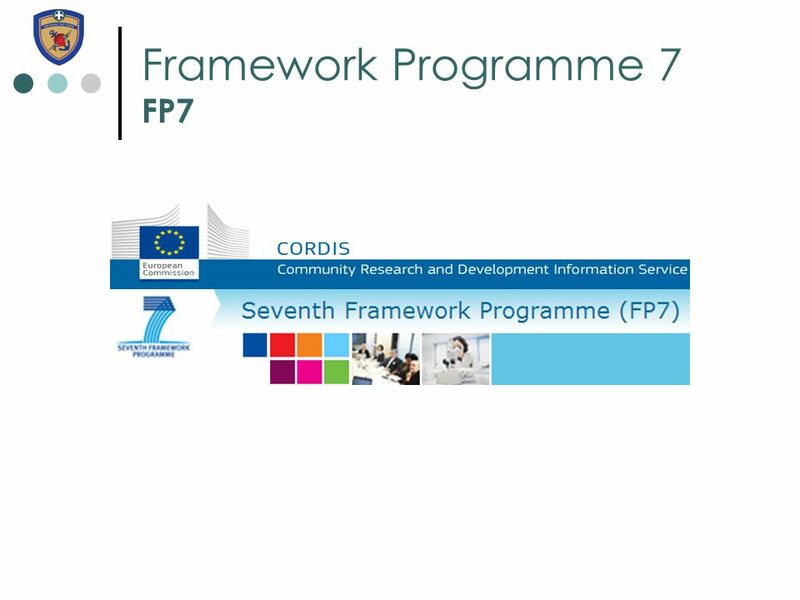 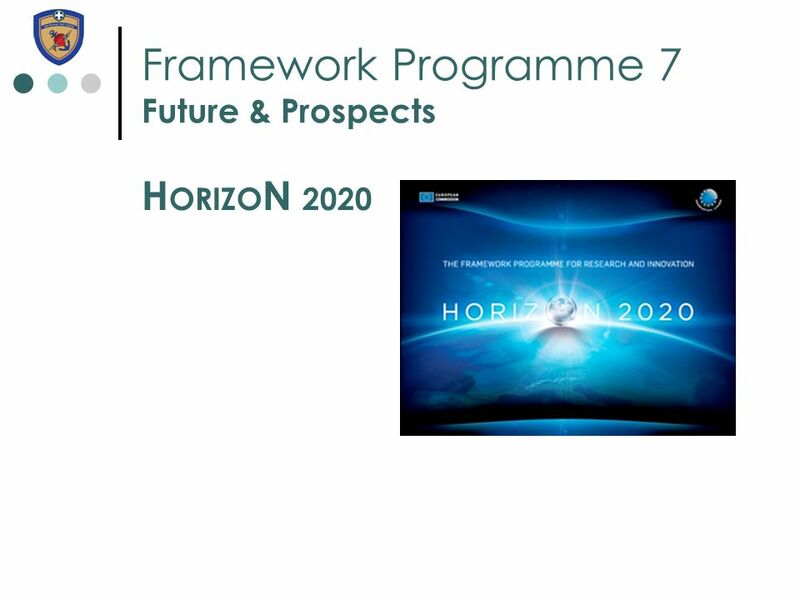 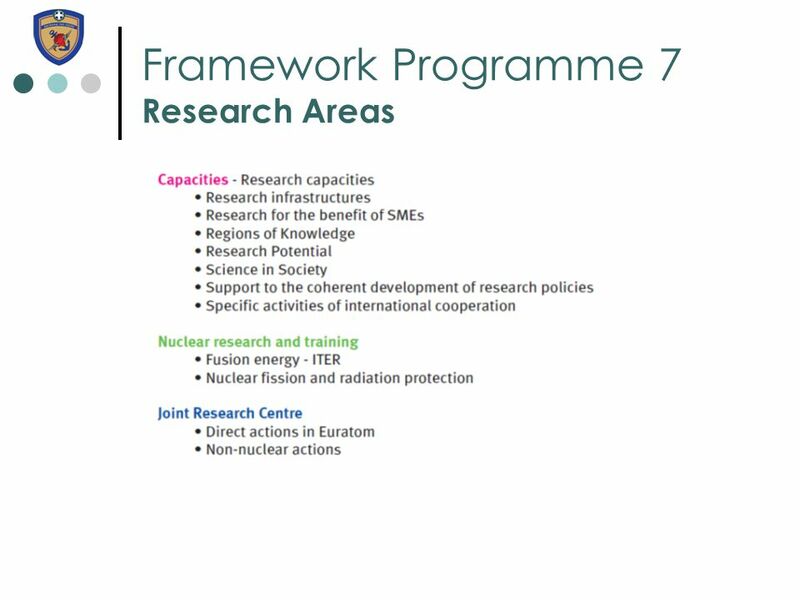 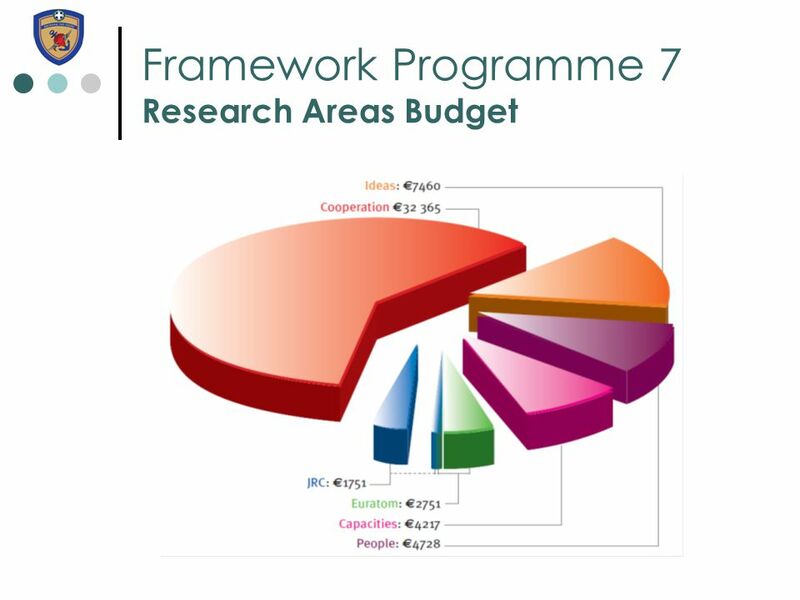 11 Framework Programme 7 Regulatory Framework Initiative of the EU in the area of Research and Development Gathers all EU initiatives relevant to R&D under one common framework. 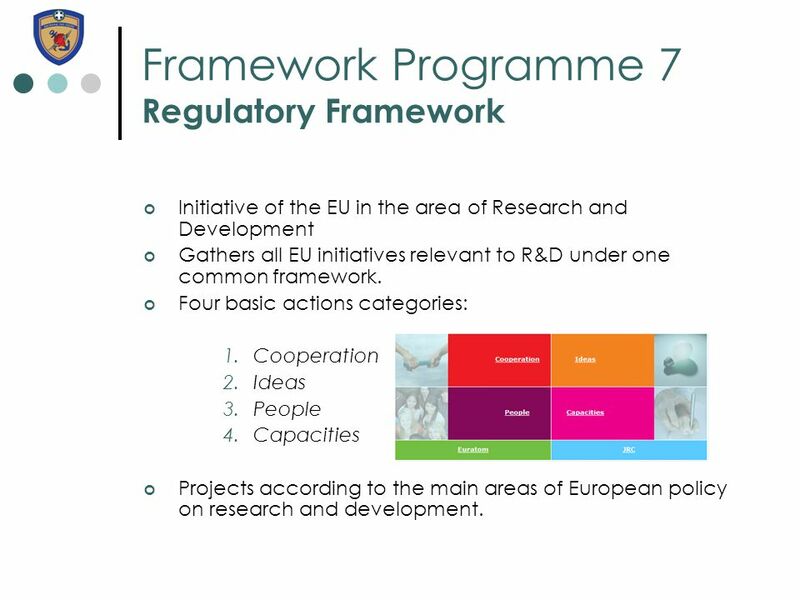 Four basic actions categories: 1.Cooperation 2.Ideas 3.People 4.Capacities Projects according to the main areas of European policy on research and development. 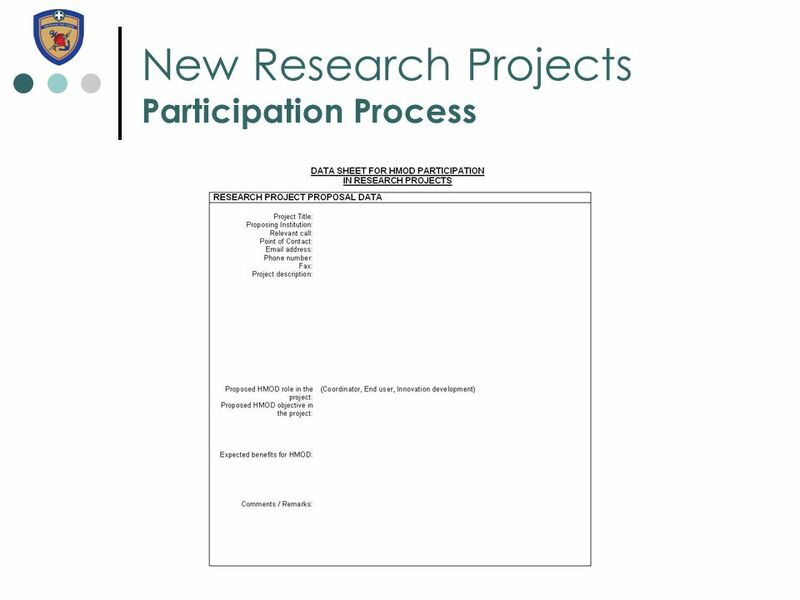 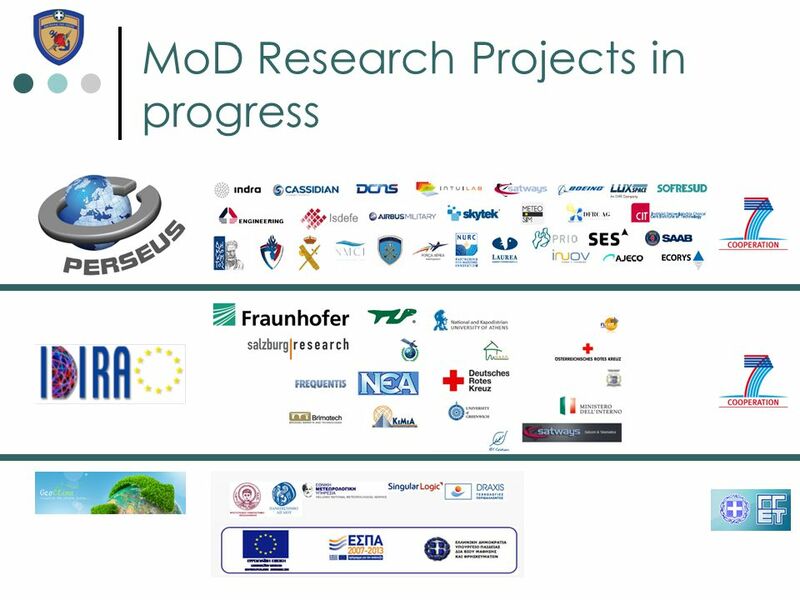 26 New Research Projects Participation Process Actions required by MoD services for their participation in new research projects (indicatively): Cooperate with Institutions (domestic or European) for detailed definition of research objective. 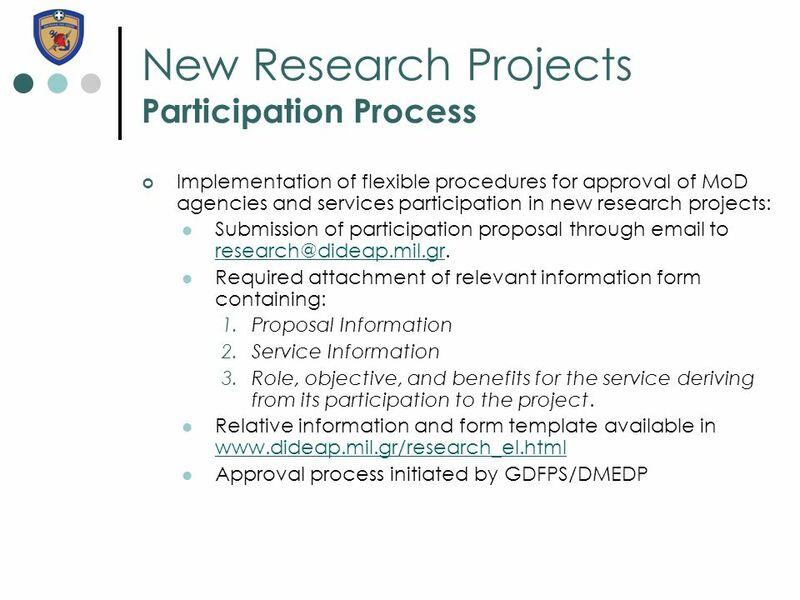 Establish Consortium for the formation of the research proposal Define the service role in the proposed project Find call for the submission of the project proposal Inform GDFPS/DMEDP in order to initiate the approval process for the submission of proposal. 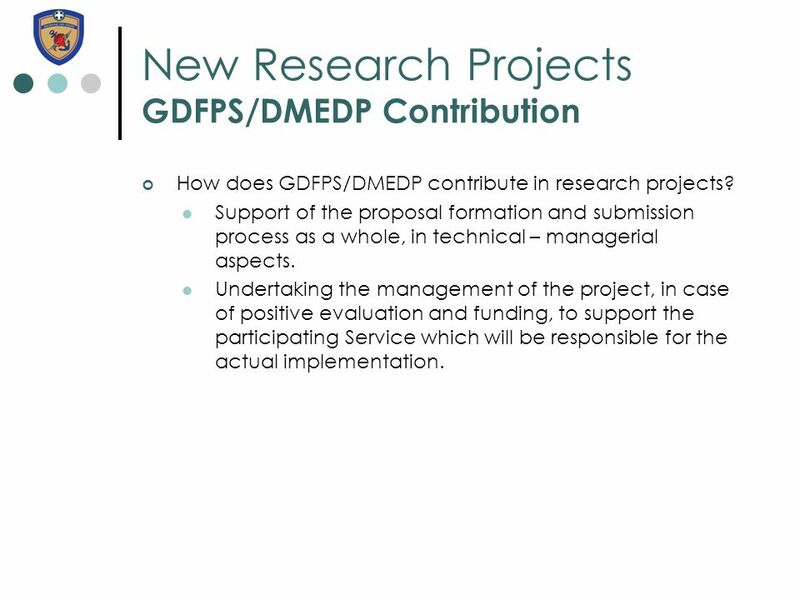 30 New Research Projects GDFPS/DMEDP Contribution How does GDFPS/DMEDP contribute in research projects? 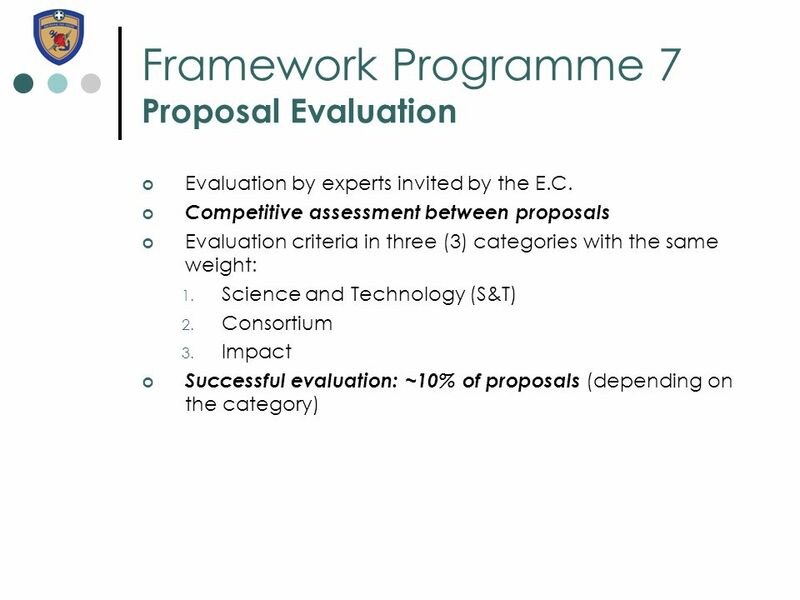 Support of the proposal formation and submission process as a whole, in technical – managerial aspects. 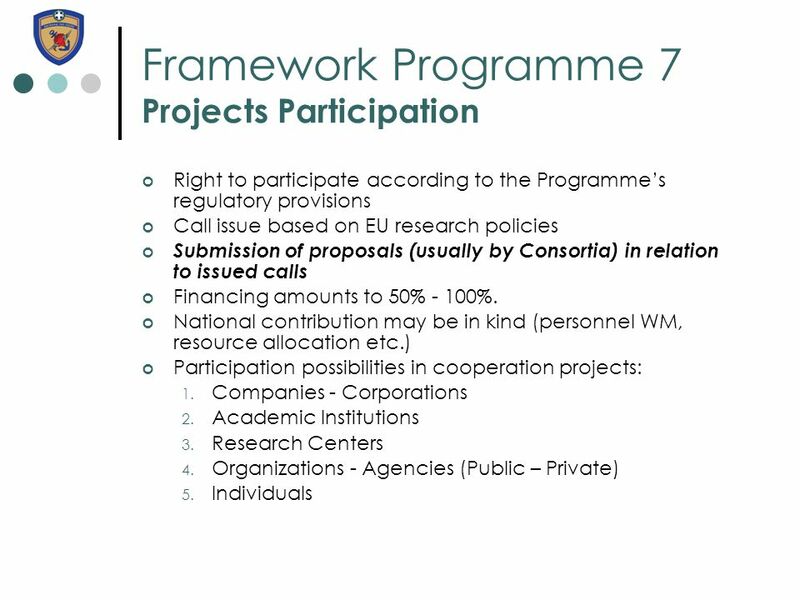 Undertaking the management of the project, in case of positive evaluation and funding, to support the participating Service which will be responsible for the actual implementation. 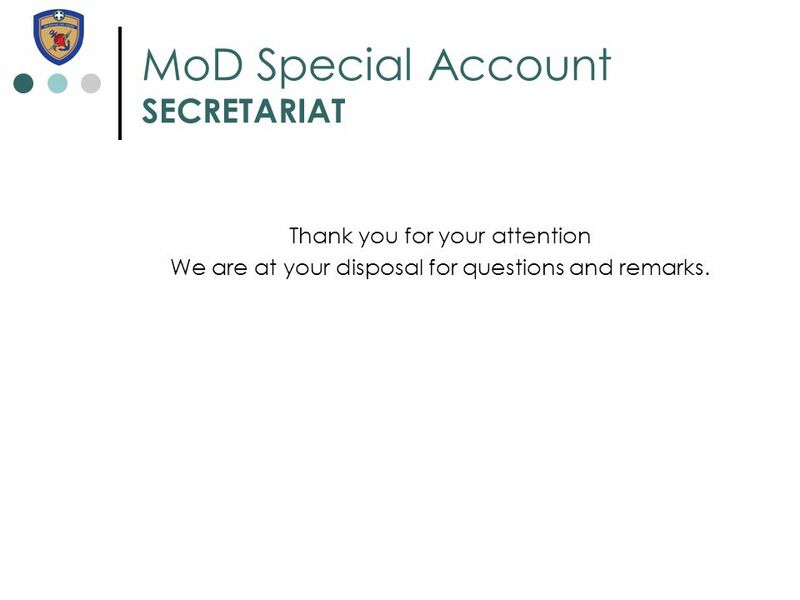 32 MoD Special Account SECRETARIAT Thank you for your attention We are at your disposal for questions and remarks. 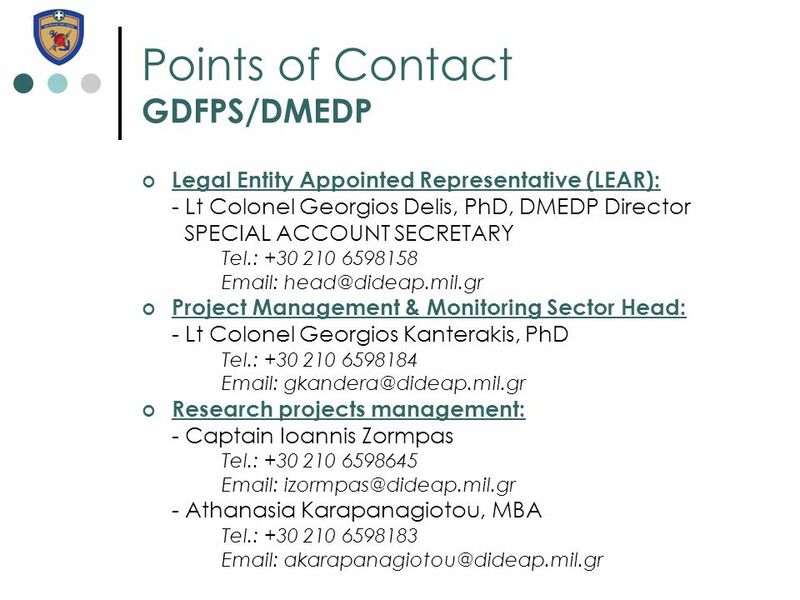 Download ppt "Hellenic Republic Ministry of National Defense Special Account of the MoD – Research Projects." 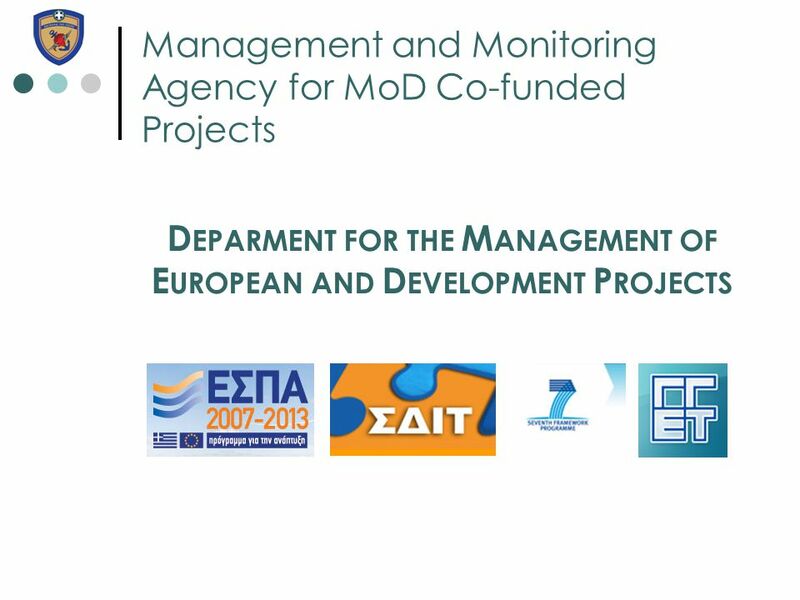 Community Initiative Programme Interreg III A Greece – Italy February 2006. 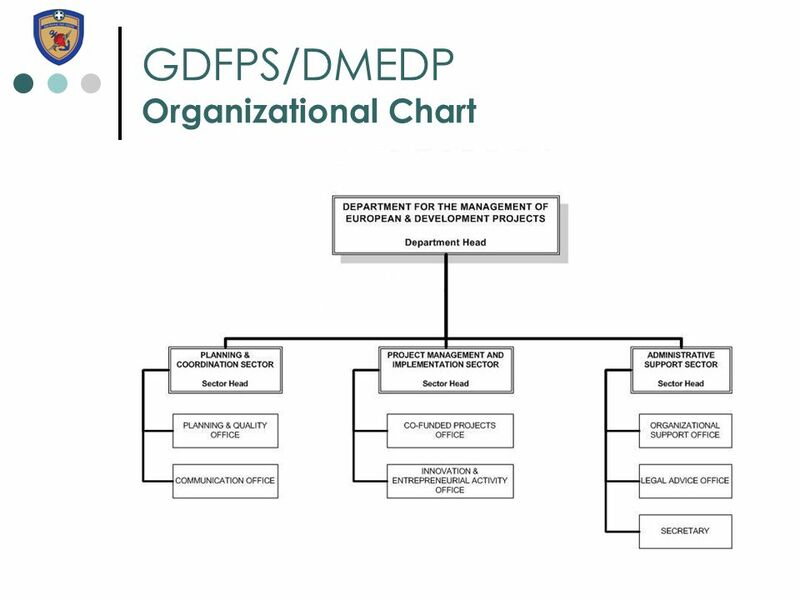 TURKISH ENVIRONMENTAL COMPLIANCE SYSTEM FEVZİ İŞBİLİR TURKISH NATIONAL COORDINATOR FOR ECENA DEPUTY DIRECTOR GENERAL DG FOR ENVIRONMENTAL MANAGEMENT TURKISH. 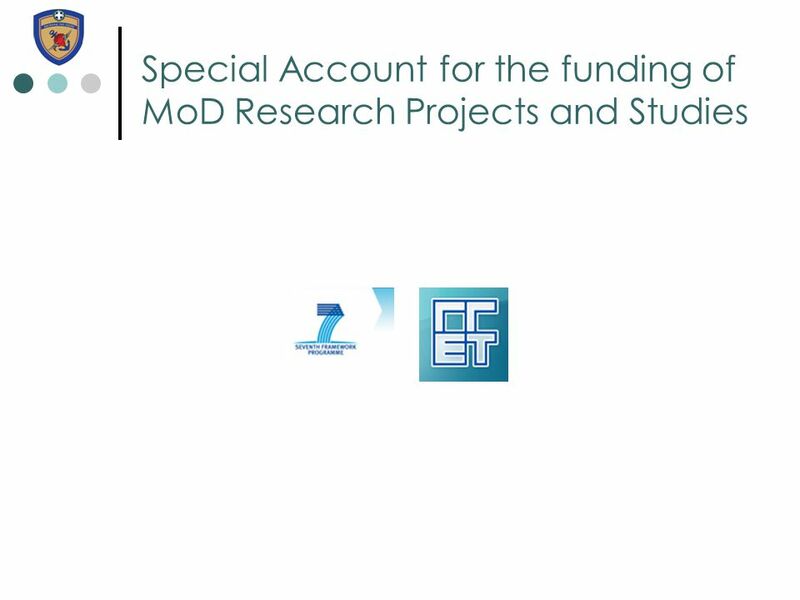 Ministry of Education and Religious Affairs General Secretariat for Research and Technology EEA Financial Mechanism Research within Priority. 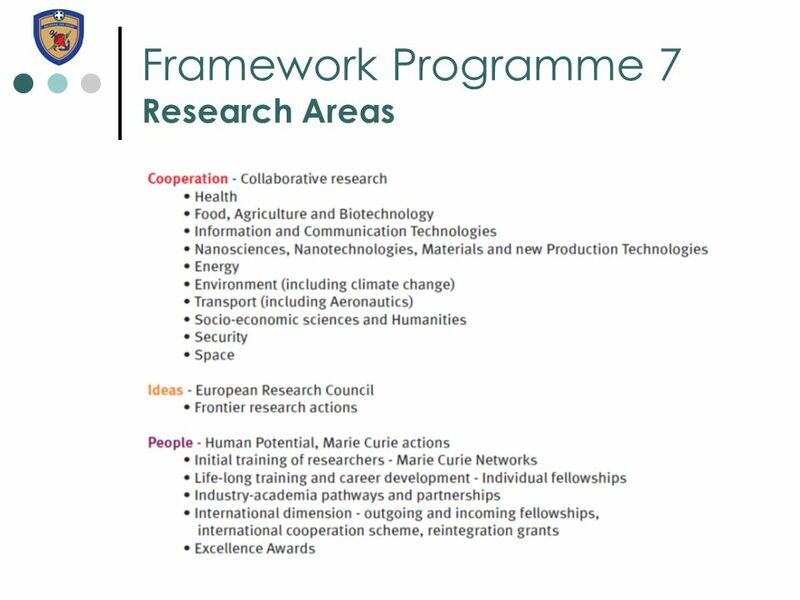 Sapienza University of Rome a short presentation ERASMUS STAFF MOBILITY WEEK 2011 Sapienza University of Rome EU Research Programmes and visiting Professors. 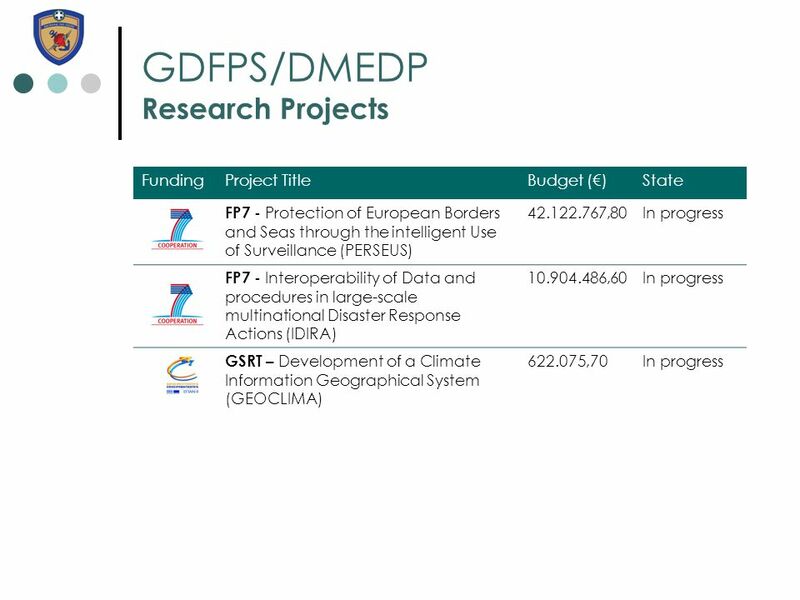 This project is funded by the European Union ENVIRONMENTAL COLLABORATION FOR THE BLACK SEA GEORGIA, MOLDOVA, RUSSIA and UKRAINE Euroconsult This project. 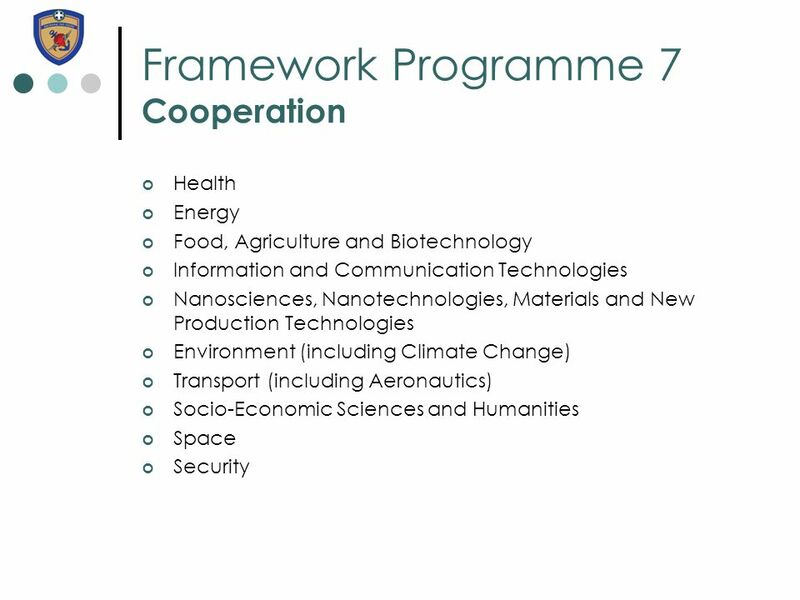 1 MINISTRY OF LABOUR, SOCIAL SOLIDARITY AND FAMILY ESF HEAD OF MISSION MANAGING AUTHORITY FOR SECTORAL OPERATIONAL PROGRAMME FOR HUMAN RESOURCES DEVELOPMENT. 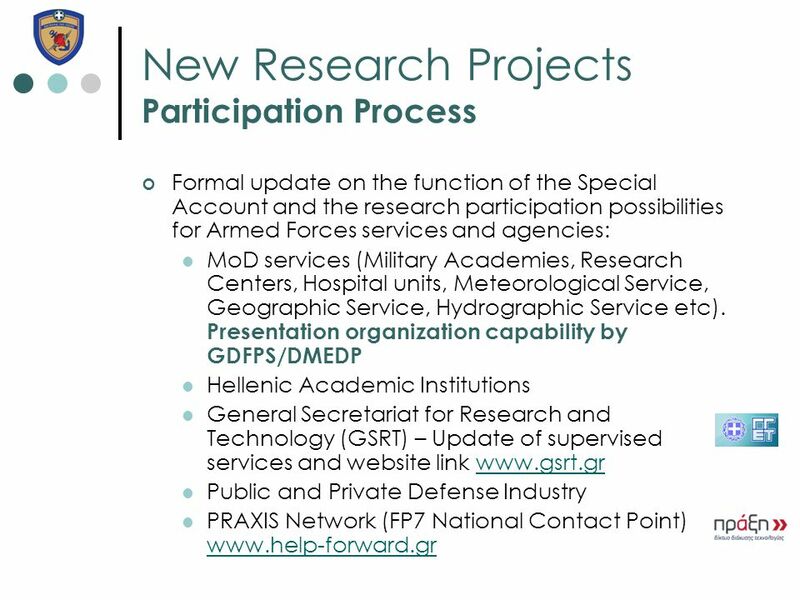 Some aspects of National STI system in Albania & The Research at Polytechnic University of Tirana T.Korini, UPT, Tirana Tbilisi, 11 April 2012. 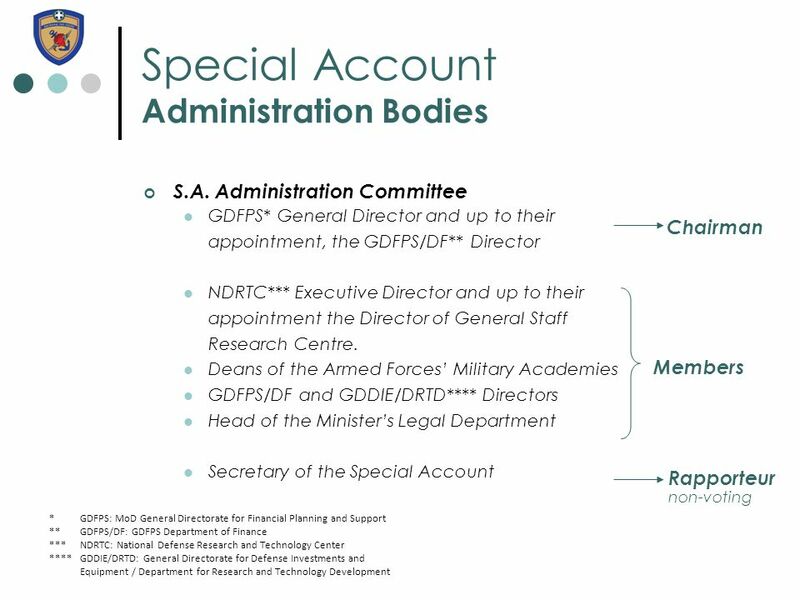 States and Government Companies Murilo Barella Brasília – 12 Março 2013.